You’ve Won Your Case, Now What? 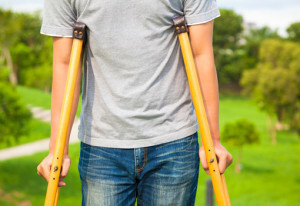 Effectuation is the word the Social Security Administration (SSA) uses to describe what happens after a person is found disabled and entitled to benefits. Essentially, this is the part where SSA decides which benefits you’re entitled to, how much you’ll receive and when those benefits started to add up (the onset date plus the waiting period). Given what you have already had to go through to reach this point in the process, you would think that this would be fairly straightforward. Who Decides the Amount and Starting Date of My Benefits? Supplemental Security Income (SSI) benefits are determined by the local SSA office in your area and Disability Insurance benefits (DIB) are calculated at Program Service Centers. SSI is usually effectuated before DIB, with offsets being factored in and corrections being made afterward depending on other sources of income you may have had since you were determined to be disabled. The earliest date SSI benefits can be paid is the month after your application. DIB benefits can only be paid as of five months after your onset date or one year prior to the date of your application, whichever is later. But benefit amounts and start dates aren’t always calculated correctly by the government employees working at these locations. We know that and rest assured, our attorneys will carefully review the SSI or DIB benefits determination you receive and challenge it if necessary. If We Don’t Win, You Don’t Pay Any Attorney Fees. Simple as That. Smith Godios Sorensen Inc. is the new name of the firm Shifrin Newman Smith Inc. Our disability law firm began handling Social Security Disability benefits back in 1985. It’s what we do best. We are driven by a passion for helping people who need help. We have a well-earned reputation for helping those with disabilities and we have helped thousands of Akron and Cleveland Ohio residents obtain government disability benefits. To schedule a free consultation, with no strings attached, call us at 877-230-5500 or contact our offices online. The offices of Smith Godios Sorensen Inc. are located in Akron and Cleveland, and our lawyers help people obtain DIB and SSI benefits for people throughout the state of Ohio.